To attract the public to know more about museum, May 18th becomes the International Museum Day. 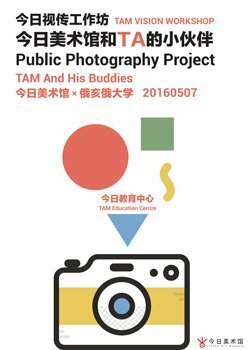 This year, on the museum day, TAM will invite you to organize a special exhibition "we" by yourself, on which your sketches at the Olympic Park will be displayed. Call your friends and visit it! 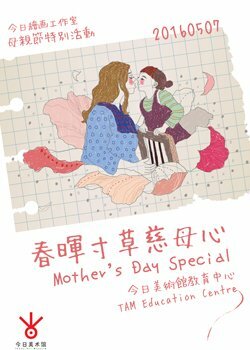 TAM Painting Studio/Mother’s Day SpecialSession 1: 20160507 14:00~16:00, maximum 5 familySession 2: 20160507 14:00~16:00, maximum 8 familyEducation Centre ( 2/F, Building 2, TAM)Please send "name of event + name of children + age + name of parent + telephone" to edu@todayartmuseum.org to reserve. Painting your kids with artist Duo’s mother.Happy Mother’s Day to my mom.